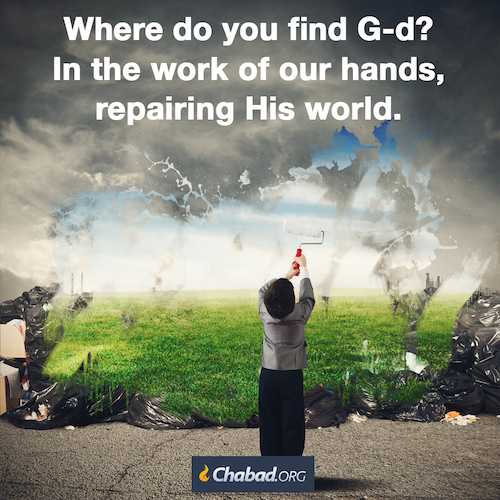 Where do we Find G-d? 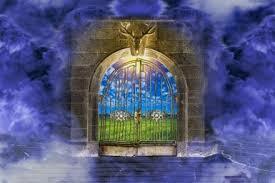 People imagine that since G‑d is not physical, therefore He must be in heaven. But the heavens—and all things spiritual—are just as much creations as the earth. Less dissonant, more harmonious, more lucid—but finite realms nonetheless. 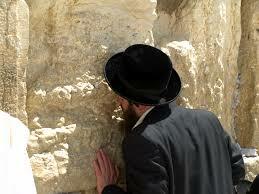 G‑d is not found in a place because it is big enough to contain Him or so magnificent that He belongs there. 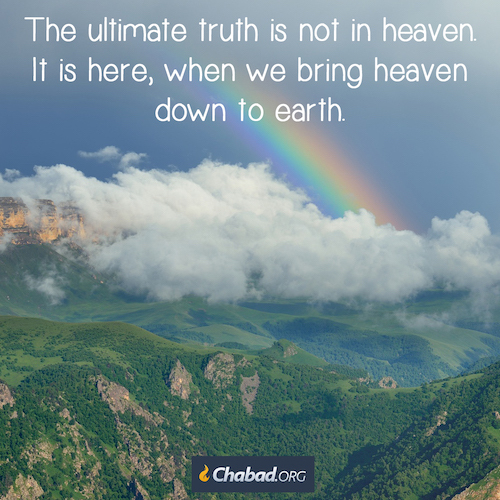 G‑d is found in whatever place He desires. And where does He desire most to be found? In the work of our hands, repairing His world. The heavens are filled with spiritual light. In the work of our hands dwells G‑d Himself, the Source of All Light. The Rebbe explains Evil possesses no autonomy; it is nothing more than a tool that G‑d uses to hide Himself from the world, thereby enabling us to choose freely between good and evil. The Zohar, the classic work of Jewish mysticism, likens evil to a prostitute hired by a king to entice the prince. Although she makes full use of all her seductive powers to ensnare the prince, she really hopes – as does the king – that the prince will be strong enough to withstand her advances. Similarly, evil tries to confuse us and entice us into misbehaving, but it is in fact only doing its job and would rather we not pay attention to it. This may look bad but in the end G-d is in control and HIS word is always true. G-d is the one who puts all leaders into power. G-d let’s this happen. It is not man but G-d controls everything. 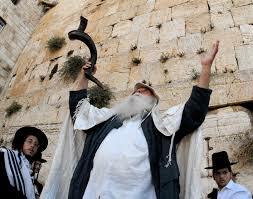 The greatest modern day miracle happened May 14th 1948 when G-d gave us our land back. The smaller things are the one that always trip us up. This is so true in my life. Yes the larger issues of Modesty are very important however when one becomes laxed in the smaller details one gets in a bind and thus we curse our blessing. The Rebbe explains The lesson for us here is that we must never think that it is important to be concerned only about the “larger” issues of modesty and intimacy, but that we can be lax about the “smaller,” “innocent” details. Even the smaller details are important – important enough to be able to transform a curse into a blessing (or an accursed situation into a blessed one). We Jews are the hidden treasures of the world. G-d is always there to protect us. G-d always has our backs. G-d’s word is always true. When one changes their heart a new world will appear. The Daily Dose from the Rebbe. First He chose the inner world—the world of human decision and purpose. Nothing caused Him to choose such a world—He did so because He so decided. And so we feel no cause to our decisions, we feel we do good or fail all on our own. The thought of an inner world necessitated an outer world, a stage for the human drama. This outer world does have a cause—the inner world. And so, this world feels itself pulled along by cause and effect, each event caused by that which preceded it. That is why the outer world cannot be changed, except by first making a change in the inner world. 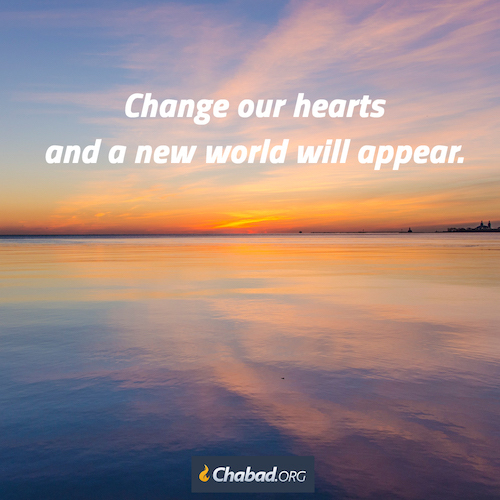 Change our hearts and a new world will appear. The material world is a place where each thing seems to say, “Here I am and here I have always been”—as though it has no origin. Only the Creator Himself has no origin. He always was and is and will be. This is the truth of what our world is trying to tell us: It is expressing—in a distorted way—its own true essence, the essence of all that is. The foundation of the Temple is built on acts of kindness and love. Mix this with acts of Holiness G-d will have HIS Dwelling place. You see Yeshua is the Jewish Messiah. Yeshua is the L-rd of my life. This means I am the L-rd’s slave. This is the best deal of my life. The Rebbe explains in the Daily Wisdom of the Torah: “Balaam loathed G‑d and His emissaries, the Jewish people, with a passion. By rising early to set out on his mission of evil, he hoped to “remind” G‑d how quick the Jews had been to rebel against Him. But G‑d informed Balaam that his quickness had been preempted by that of the patriarch Abraham. Abraham had risen early in the morning in order to lovingly and devotedly fulfill G‑d’s command to sacrifice his son Isaac. The merit of Abraham’s love of G‑d counterbalanced Balaam’s hatred. Abraham’s love had been inherited by the Jewish people; their rebellions in the desert had merely been temporary lapses in their inherent, undying devotion to G‑d. I am so happy and proud to have Pastor Steve Gray World Revival Church as my teacher. 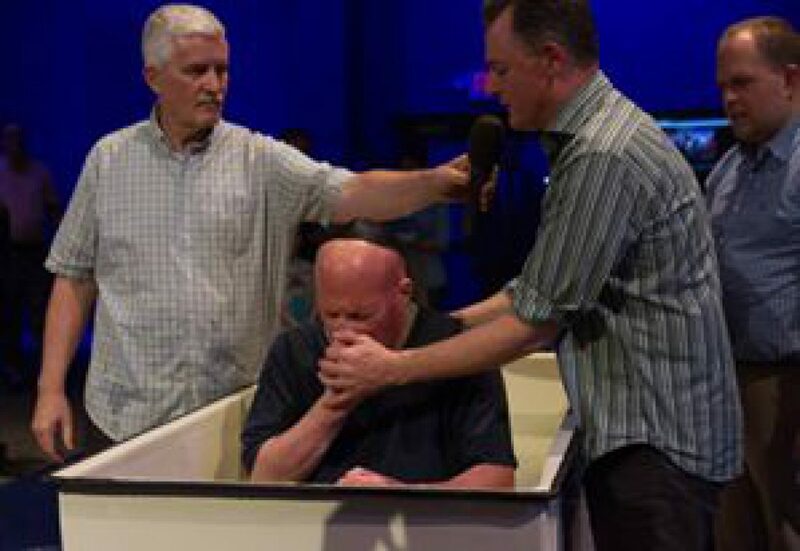 Thank you G-d for having Pastor Steve Gray stay to true to his calling. I love you Pastor Steve.